The Redwood Coast Music Festival swings into Eureka for its 25th year on Thursday, March 26. It is one of Humboldt's biggest gigs — known throughout the nation as a must-attend event for jazz musicians and fans alike. Whatever your pleasure, you're bound to find it in venues scattered throughout the city. From blues and jazz to swing and zydeco, somebody's got your jam. Once you've binged at Taste of Main Street, waddle down to the Adorni Center at 7 p.m. for the Kick-off Dance ($8 with an all-event ticket or Taste of Main Street pass, $10 without). There you can move your feet and everything else to Meschiya Lake & the Little Big Horns. 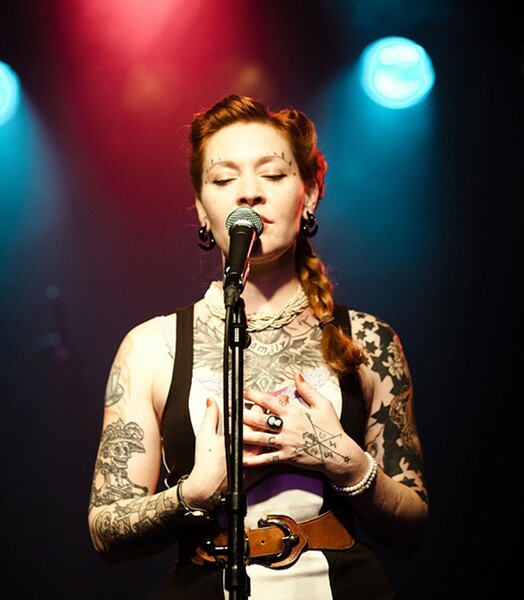 The tattooed lady and her band hail from New Orleans, and have played on four continents and counting with their retro-sassy jazz and lazy wah-wah horns. Charlie Parker said, "Music is your own experience, your own thoughts, your wisdom. If you don't live it, it won't come out of your horn. They teach you there's a boundary line to music. But, man, there's no boundary line to art." Can you dig it? Yes, you can. Prices vary from event, many shows are free, and there are weekend and day passes available. For ticket information and a schedule of events, visit www.redwoodjazz.org.